Brenda received her Bachelor of Arts degree with a major in Biology from Central University in Pella Iowa in 1994. After spending a year teaching English in China and then working for 2 years for a physical therapist in Washington Iowa, she went on to pursue a degree in physical therapy. She graduated with a Masters of Science in Physical Therapy from Beaver College (now known as Arcadia University) in Glenside PA in 1999. Following graduation she moved to Fairbanks Alaska and began her practice in North Pole. In 2009 she joined the staff at Home Town Physical Therapy. 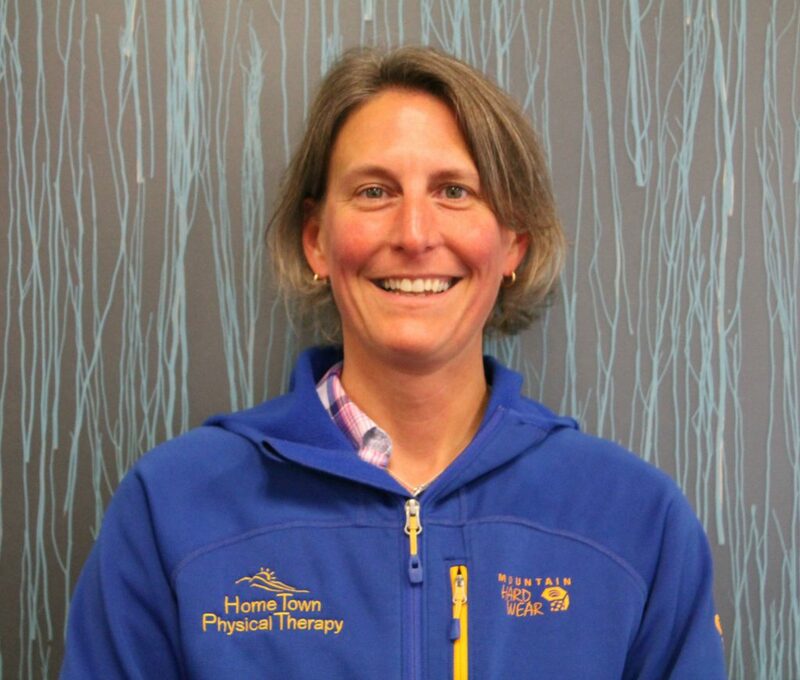 Brenda’s primary interest is in evaluation and treatment of orthopedic conditions with emphasis on manual therapy intervention and exercise prescription. She earned her Board Certification as an Orthopedic Clinical Specialist in 2010. She completed a certification program from the Ola Grimbsy Institute in 2012 as an Orthopedic Manual Therapist. Developing Post Surgical Rehab Programs for the Cervical and Lumbar Spine. September 2015. Integrative Dry Needling for Pain Management and Sports Medicine. November 2014. Step3: Exercise for the Hip and Pelvis. September 2014. Advanced Running Course. February 2014. Running Course: Biomechanics, Analysis, Rehabilitation and Training. May 2013. The Shoulder Girdle: Medical Screening and Orthopaedic Fundamentals. September 2011. Introduction to Hand Therapy. Chicago 2010. Physical Therapist Clinical Performance Instruments for Students. July 2010. Kinesiotaping Fundamentals and Advanced. October 2009. McKenzie Institute Part B: Cervical and Thoracic Spine. April 2009. Exploring Function: Tweakology, Transformation, Zones and Functional Balance. October 2008.